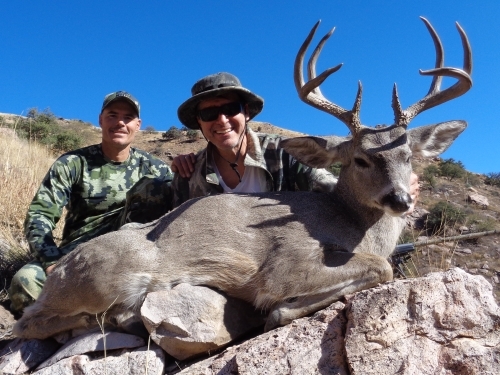 Arizona Guided Hunts is a licensed and insured outfitter guide service that has been guiding hunting trips in Arizona for over two decades. 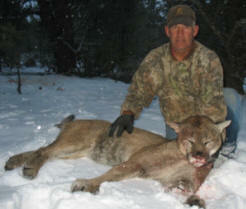 The owner and operator, Pat Feldt, is a very experienced hunter of all big game species within the State. 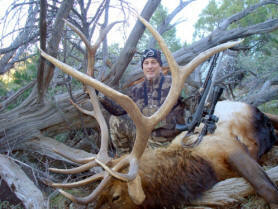 He earned a Bachelor of Science in Wildlife and Fisheries from the University of Arizona in 1994, which adds to credibility, passion, and dedication as a full-time outfitter. 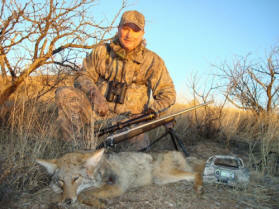 He and his guides are very knowledgeable and experienced in all species hunted in Arizona. 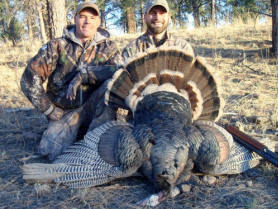 The expertise of this team has allowed hunters to take many trophy-class animals while enjoying a well organized operation. 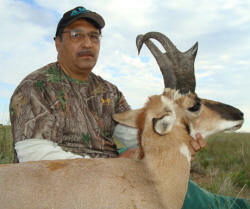 Hunter opportunity is very high with AGH. 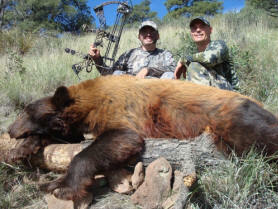 This is not only due to it being a full-time operation that spends extended hours in the field, but they utilize advanced hunting techniques, highly experienced guides, and excellent areas. 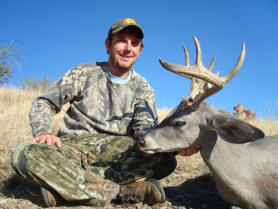 Hunters looking for an Arizona outfitter guide service will find these hunts very professional, exciting and rewarding. 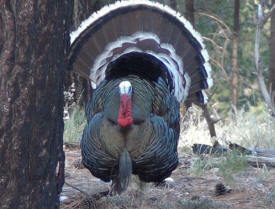 Hunters have a great chance at taking home a trophy of a lifetime with Arizona Guided Hunts! 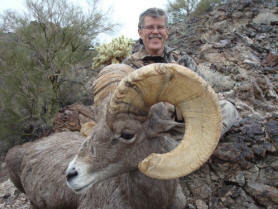 Arizona offers a wide variety of Big Game animals to hunt. 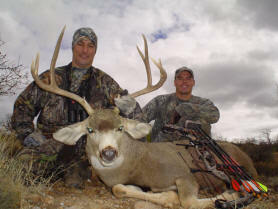 Arizona Guided Hunts conducts hunting trips for many of these animals, including: Coues Whitetail Deer, Desert Bighorn Sheep, Rocky Mountain Bighorn Sheep, Javelina, Elk, Desert Mule Deer, Black Bear, Pronghorn Antelope, Mountain Lion, Gould's Turkey, and Merriam's Turkey. 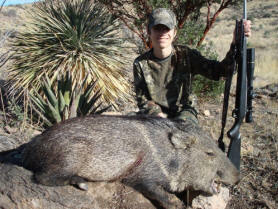 Most of the big game hunts can be either archery, rifle, handgun, or muzzleloader.